If a year is a long time in politics, then it feels as if it has flown by in the world of cinema. Somehow 2014 seems to have slipped by in a flash, but the world has changed – as it always does in the space of twelve months, whether we like it or not – so I thought as part of this year’s review I’d try to take stock of a few things, and also provide a few updates on where hot topics of this blog from the past have got to. A huge amount of column inches on this blog last year were taken up with the Competition Commission referral from the Office Of Fair Trading regarding the purchase of Picturehouse by Cineworld. The decision in October 2013 that Cineworld would need to sell a cinema in each of three affected areas, Aberdeen, Bury St. Edmunds and Cambridge was desperately disappointing for many, and not least myself as I live halfway between Bury and Cambridge and these cinemas represent the vast majority of my cinema visiting. (I also know someone that works in Aberdeen, so had a vested interest of some kind in the fate of all three.) Twelve months on, and the Competition Commission and the Office Of Fair Trading no longer exist, having been merged into the Competition & Markets Authority (CMA), but that hasn’t stopped the process rumbling on very slowly in the background. Cineworld plc announced very early on that it would sell the Picturehouse in Aberdeen and Bury, but that it was yet to make a decision regarding Cambridge. In April this year, the first sale took place with Aberdeen’s Belmont Picturehouse being taken over by the Centre for the Moving Image. It’s the same organisation that runs both the Edinburgh Filmhouse and the Edinburgh International Film Festival, and it has seen the level of independent programming at the cinema at the very least maintained, if not improved. This was always likely to be the least risky sale as the local council had been involved in the launch of the Belmont in 2000 and had directly appealed to the Competition Commission during their process to ensure that the offering was protected. Then in the summer, the Bury St. Edmunds cinema the Abbeygate Picturehouse was sold. In this case it was bought by Tony Jones, who’s the co-founder and trustee of the Cambridge Film Trust and who has been the face of the Cambridge Film Festival for as long as it’s been running. Tony was also a co-founder of Picturehouse and seemingly couldn’t resist the opportunity to get back to the coalface with an opportunity to be back in cinema ownership (something he first did in 1968 when he founded the Arts Lab in Birmingham). This has also protected the programming and the new restaurant and bar facilities at the Hatter Street cinema, and the closure of the neighbouring bingo hall in November represents an opportunity for the cinema to look to expand its operations. I understand that the hall next door retains a lot of its original features, and if the plans can be brought to fruition this should represent a fantastic opportunity for the residents of Bury St. Edmunds, with the ability to show more live theatre events and an even wider range of art house cinema. It remains my favourite cinema and I’m thrilled that its future is secure, and I look forward with excitement to seeing what happens to it in the next 12 months. That just leaves Cambridge, and rumours have persisted around the fate of the cinemas. My position on this hasn’t changed, that the loss of either the Picturehouse – which supports the Cambridge Film Trust and Consortium, who offer a much wider range of programming and educational activity above the already high quality programming of the cinema – or the Cineworld, which represents huge value for money in a city where cinema prices are at the highest of almost anywhere outside London, would affect cinema attendance in the city greatly. While the first two sales have both had positive outcomes, it seems almost impossible that Cambridge will be as fortunate. Rumours and speculation about the fate of the cinema continue, with some positive noises being heard, but at this point nothing concrete has been forthcoming and we continue to await the next stages of the process for Cambridge under the CMA’s stewardship. It’s been a tough year for Picturehouses, as you may have seen another of their cinemas repeatedly in the news. 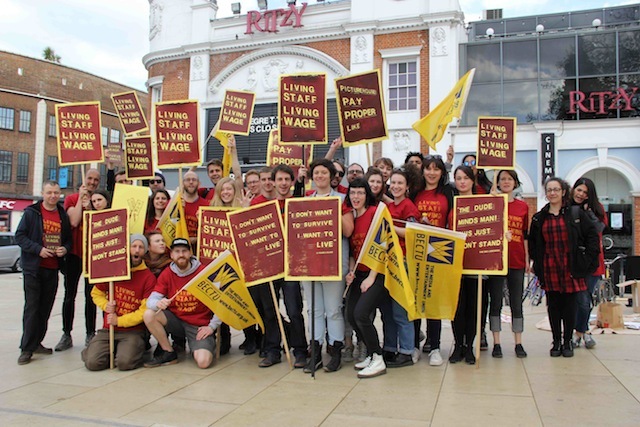 The Ritzy in Brixton, one of the chain’s flagship cinemas, saw a temporary closure when the staff took to the picket line in an effort to be paid the London living wage. The campaign to get the cinema chain to pay its staff the full London Living Wage of £8.80, a significant hike over their previous salaries, took a number of twists and turns over the last quarter of the year, with Picturehouses firstly saying that it would pay the salary but would have to enter into a period of consultancy over redundancies of up to a third of the staff, and then Cineworld stepping in to end the consultancy period. The staff appear to have gotten the right result, but it’s been a long and painful process. This came on the back of the decision by Curzon Cinemas, who have mainly operations in London but have now expanded into regional cinema in a few areas, to pay all of their staff the Living Wage earlier in the year. They had become embroiled in a battle with staff initially over zero hours contracts, which do not even guarantee staff the minimum wage as an average over the week, and action by the cinema staff there (focused around the cinema’s Soho operation, from what I saw in the press) looks to have also had the right result for their cinema staff. Curzon, who have committed to the Living Wage, opened a new cinema in Canterbury this year – an area that drew focus after it hosted the infamous Russell Brand / Nigel Farage Question Time episode last month, and Russell Brand visited the food banks in Canterbury, so you could hardly describe it as an exclusively prosperous area – and the standard ticket price there for a Friday night for non-members is £13.50. We can only hope that the higher prices for these cinema chains are being channelled back into the pockets of their employees, but it’s clear that if we expect the staff who look after us to be paid well, we are likely to have to support that in some measure. I’m not a fan of boycotting cinemas, because you’re directly impacting the staff in the first instance and just making their situation worse, but at the same time public pressure needs to be brought to bear on the cinema chains to ensure that any price increases are being used to pay the staff a suitable salary. And that doesn’t just apply to the two higher end chains. 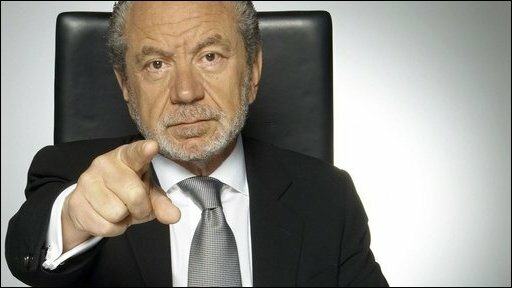 I’ve looked at job adverts in the last month for entry roles at cinemas in the Cineworld, Vue, Odeon and Showcase cinema chains, and in every instance – including some jobs being offered in places such as Wood Green, which I believe should be on London Living Wage – the starting salary is listed as £6.50 per hour, the national minimum wage as opposed to the Living Wage (which is now £7.65 nationally and is due to rise to £9.15 in London). It’s pretty much guaranteed that if you visit a multiplex chain, the person serving you is likely to be living below the poverty line if they aren’t receiving a decent amount of overtime and bonuses. Think on that next time you complain about your overpriced popcorn – as that, not the ticket prices, is the main source of studio income – and if anyone has any bright ideas about how we can see fair treatment for all cinema staff, I’d be the first to sign up to them. There have been the usual array of losses to the world of cinema, and I can guarantee that no matter how many I listed someone would feel that I’d missed off a name that should have been included. So instead I will mention the two most untimely deaths that took away performers from us before their time. 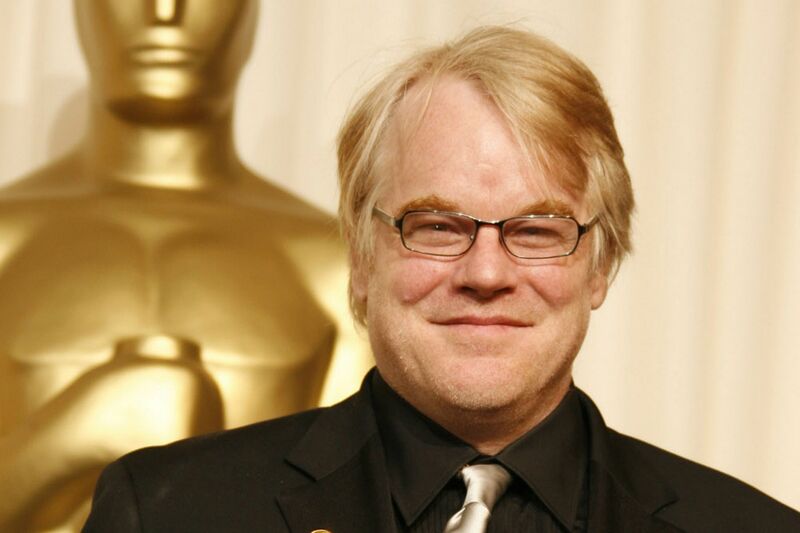 Robin Williams felt compelled to end his own life at the age of just 63 in August, but six months earlier drugs had claimed the life of Philip Seymour Hoffman at just 46. Both will be deeply missed, but have at least left behind a legacy that’s probably currently still being expanded in a cinema near you with the Night At The Museum and Hunger Games franchises respectively. Without wishing to appear facetious, there are two other losses this year that will also affect what many of us consume at the cinema. The first is the retirement of Hayao Miyazaki, who has enchanted two generations with his films for Studio Ghibli but who advised that this year’s The Wind Rises would be his final film. I still have some Miayzaki to catch up on, but there will always be a soft spot here; Ponyo was the first review and post I ever published on this blog. The other great loss, although not one which will affect me directly, is the Orange Wednesdays campaign, which gave cinema audiences a 2 for 1 offer for over ten years in almost every cinema in the country, but which will come to an end in February. While the offer was said to be in decline in terms of usage, cinema attendances in 2014 are still 50% higher on Wednesdays than other weekdays, a figure that represents around 4% of the total weekly cinema attendance, and I hope another offer from somewhere will help to ensure that attendance isn’t lost. Not that the film studios are worried, of course; many of them have announced projects for years to come. 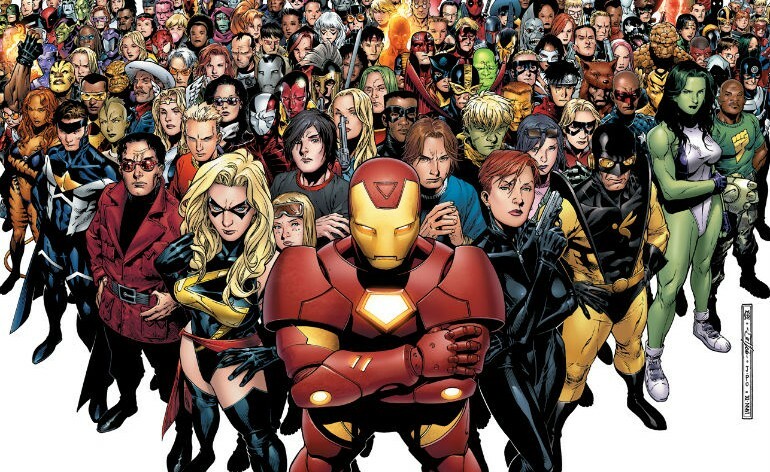 Both Warner Brothers / DC and Disney / Marvel have announced their superhero slates up to at least 2019, and with confirmation there’ll be a Star Wars film a year for the next five years and a long list of animation plans announced, the cinema landscape for multiplexes over the coming half decade is more clearly mapped out than ever. Not that I’m sure that’s a good thing. With seemingly every major actor ending up committed to one or other of the franchises, and with 2015 looming as a year in which the most original major studio film (Tomorrowland) is inspired by a theme park ride in the tradition of the Pirates Of The Caribbean movies – of which a fifth is in the planning stage – and which will see the year consumed by everything from Avengers to stormtroopers, original cinema looks to be facing its toughest challenge for some years. I can’t encourage you enough to support original, local films wherever you are, to prove to studios and cinema chains that there is still an audience for these films. When even the announcement of the title and cast for the next Bond – which was to all intents and purposes just a giant car advert – gains more column inches than most film releases, maybe we all need to re-evaluate our priorities. 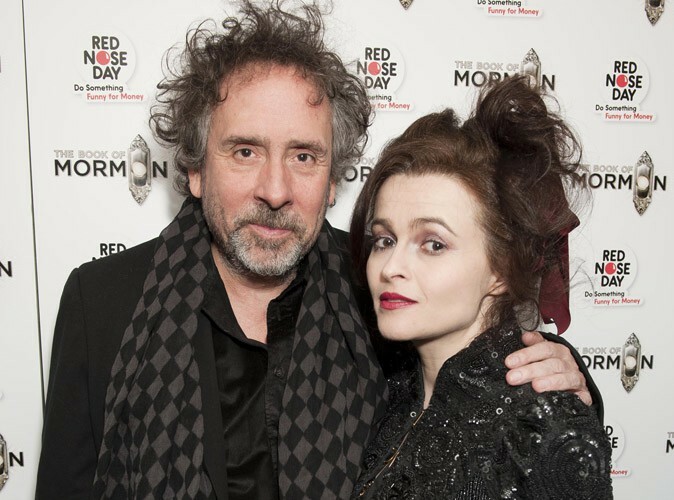 And then in the last few days an announcement which also struck close to home and fits with the same theme of priorities: Tim Burton and Helena Bonham Carter, one of the last decade’s most enduring cinema partnerships, are separating. They met in 2001 on Planet Of The Apes and have completed another half a dozen films together since then. It struck a chord with me as it was the same year that I first started dating the future Mrs Evangelist, and after nine years of marriage we are now also entering into a separation. She’s been a regular mention in the blog over the years and I’ve always fit my cinema attendance around her, so at this point I’m not sure whether this will mean more or less time in the cinema for me in 2015 as I work out the next stage of my life. But I know one thing – the support I’ve received from people through everything I’ve done with this blog over the past four and a half years has been immense, and I head into 2015 ready to embrace whatever the future has in store, as long as it’s not homogenised, heavily censored films in overpriced cinemas with poorly paid staff. Ahem. Or maybe 2015 is the year we remind ourselves what’s important. See you on the other side, once I’ve got the remainder of my review of this year out of the way. This entry was posted in Evangelism and tagged 2014, announcements, censorship, Competition Commission, film, Living Wage, movies, RIP, separation. When it comes to end of year lists, most people will provide you with a Best Of, their choicest cuts of the year in list form. You’ll also find a fair few people giving you their worst of the year, as I have for the past three years. I commented last year that this was an increasingly futile exercise for me as I am a film blogger, not a reviewer and I actively avoid the dregs of the cinema releases unless I have a particularly burning desire to see them for reasons such as childhood memories or nothing better to do at the time. It’s been the same again this year; if anything, my overall level of quality has gone up further, so out of over 150 new films seen at time of writing I’ve only watched eleven which I would rate as being one or two stars on a standard five star scale. There’s another problem with “worst of” lists; it’s inherently negative and it can all get a bit petty and unnecessary. While it’s great for me as a reviewer to let off steam sometimes, and for you the reader to enjoy my pithy rejoinders and endless sarcasm, it’s not really a solution to the problem. No one wants to make a bad film, let alone sit through one, so what does it achieve (other than scoring some cheap points) to sit and slag off people who’ve actually been making an effort, albeit a somewhat misguided one? So I thought about what I’d do in a work situation, and styles of feedback. If you’re trying to give someone some constructive feedback, then you should tell them what they’ve done well in a given situation, and then what they could do better, rather than what they’ve done wrong. So this year I present my ten least best films of the year – there are undoubtedly many more than ten worse films that have disgraced the inside of cinemas this year but I’ve not seen them – but for each of these films, I’ll outline the good points and the areas for improvement. Can’t say fairer than that. While everyone admired his Lion-O from Thundercats fancy dress costume, it was a shame the soiree was black tie. 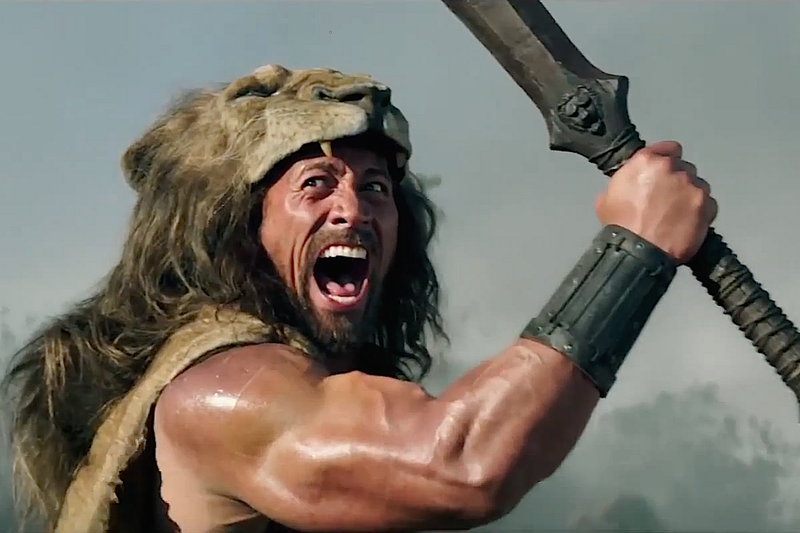 What you did well: Dwayne Johnson is an undemanding lead who’s got just enough charisma to keep you interested. There’s gravitas in the form of John Hurt and Peter Mullan, and Ian McShane is clearly on an agenda to have fun for his pay cheque. The end credits also feature some great artwork which applies some narrative linking to what we’ve seen in the film. What you could do better: We’ll see if this becomes a theme as we go through, but the biggest warning for anyone attempting to make a film such as this is not to get caught between two stools. In trying to reimagine Hercules as a feasible real world hero, the adventure feels somewhat diluted and that also creates a chasm in tone between Ian McShane, who’s aimed where the rest of the film probably should have, and everyone else, who just takes things a bit too seriously. So it’s not really thrilling enough, and Joseph Fiennes’ character also feels weak and underwritten. It would be too easy to put all the blame at the foot of the door of Brett Ratner, but this is another black mark on an already smudged résumé. The John Lewis lighting department was becoming increasingly avant garde. 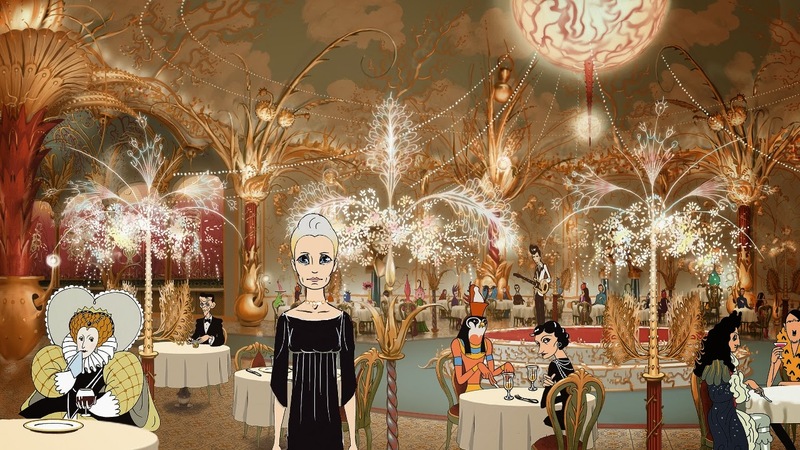 What you did well: Certainly, after the success of applying animation to the documentary format with Waltz With Bashir, it was intriguing to see what Ari Folman would do in applying this to a narrative concept. If you’re looking to fictionalise this around the downward career trajectory of an actress, then Robin Wright is as good a pick as you could imagine. Planned sequels for Angelina Jolie to tackle include the Queen from Snow White, Man from Bambi and Scar from The Lion King. What you did well: What an opportunity to allow Angelina Jolie to play evil, and how fantastic is she as the wicked Maleficent? With cheekbones that could cut glass and a deliciously evil smile, she’s perfect casting and the film itself also has a more balanced portrayal of female characters than most fairytales (if you can excuse what they’ve done to the three fairies). What you could do better: I know I said I was trying to remain positive but seriously, you could have let Angelina Jolie be evil for more than about forty seconds?!?! For most of this misguided attempt to reinvent her as a tortured antihero, she either wails in pain after being brutally attacked or mopes around outside windows looking gooey-eyed. As the nominal villain of the piece, Sharlto Copley is so anonymous that I had to Google who he’d played after the film, Sam Riley is also under served as Jolie’s feathery sidekick and it’s one thing to look to balance our your female characters; it’s entirely another to just copy the end of Frozen. Top tip to film makers: at least try to put an original slant on your endings. Also, not every film set in a mythical kingdom needs to have a sub-Lord Of The Rings CGI battle with no weight or emotion. Yeah, you thought I’d take the easy option and put in a picture of Scarlett Johansson, didn’t you? Well, now I wish I had. What you did well: You hired Scarlett Johansson, then you hired Morgan Freeman. Er, that’s about it. What you could do better: Probably just re-release Leon for its twentieth anniversary. It’s difficult to reconcile the quality of that film, which was offbeat and eccentric while still having heart, soul, an air of menace, Gary Oldman chewing off bits of scenery and some great action beats, with this high concept anti-action movie. By giving Lucy rapidly escalating powers that far outmatch anything that anyone can throw at her, any sense of tension is lost and we’re just left with a collection of increasingly unlikely imagery. Even the Matrix sequels, for all their faults, recognised that a godlike hero needs similarly powerful adversaries to combat. Also, best not to base your entire premise on the old myth that we only use ten per cent of our brains, given that just about everyone knows now that this just plain isn’t true, no matter how you try to twist it. I’ve told you eighteen times, I would do anything for love, but I still won’t do that. 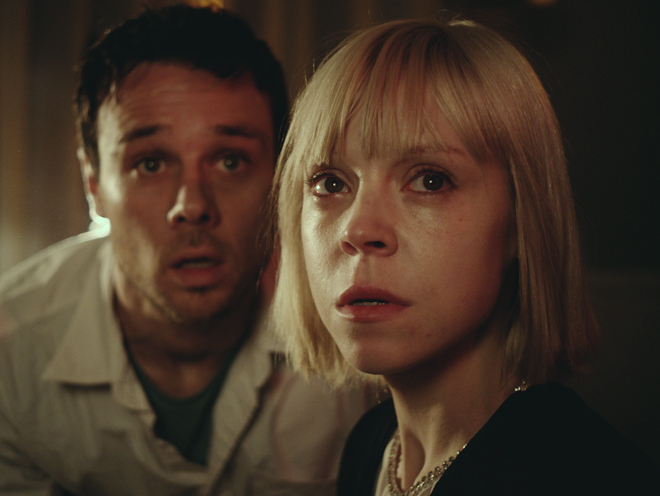 What you did well: A film I caught at FrightFest, and it was the late night Sunday showing which should maybe have been an indication that this wasn’t likely to be the greatest horror movie of all time. Still, I was just after campy fun, and the inclusion of both Meatloaf in a supporting role and a cameo from Minnie Driver. And what’s not to love about a slasher musical? Open-mouthed staring auditions for bit parts in the new Godzilla movie were going well. What you did well: Another good concept here, with the idea that there’s terrors lurking in old film stock and films from over a century ago. What you could do better: Maybe get a second opinion on your film before you start, as it almost feels as if the film makers didn’t recognise they had a great concept on their hands, as they ignore it after the first ten minutes for long periods. It also appears phenomenally easy for the lead characters to get film developed and processed in this digital age (not to mention when characters are under suspicion), and I suggest a different casting director may also help as almost every role here feels miscast. Steve Oram is the prime example of that as a weary policeman who seems to be wandering in from an entirely different film whenever he appears, and that’s a shame because I like Steve Oram. 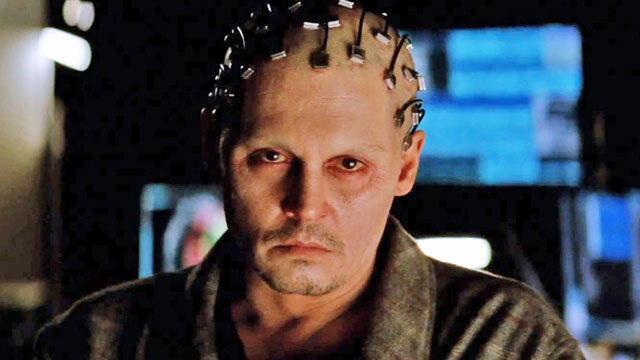 Depp’s insistence on method acting began to cause problems when his consciousness came into conflict with the studio’s anti-virus software. What you did well: Quite understandably, when Christopher Nolan’s director of photography decides to become a director himself, attracting a high calibre cast isn’t a problem, with Rebecca Hall, Paul Bettany, Morgan Freeman, Kate Mara and Cillian Murphy being a list of names that would flatter any film, even before you mention Johnny Depp. What you could do better: If you’re going to write a script in the world of science fiction, I cannot but feel it would be helpful to actually watch some science fiction first. The core idea is a worn out science fiction cliché that has appeared in some form in any long running sci-fi TV series you’d care to mention, and the script adds nothing here. It also makes you realise that being a director is not just about the composition of a visual image – and there’s too much of that going on in a way that doesn’t advance the plot, and often makes the film feel remarkably small scale for a big budget sci-fi – but it’s also about getting the actors to put in a level of performance, and while Rebecca Hall tries her darnedest, she’s swimming against the tide. What you did well: So, Transcendence, I trump your casting with Michael Keaton, Samuel L. Jackson, Jackie Earle Haley, Jennifer Ehle, Joel Kinnaman and Gary freakin’ Oldman. I then further trump it with some good performances, particularly from Keaton and Oldman. 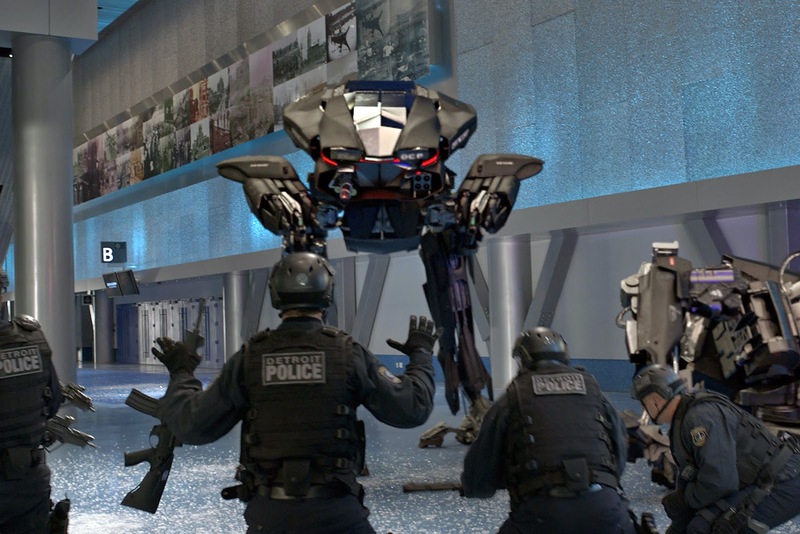 In addition, director José Padihla came with the pedigree of two Elite Squad films behind him, and the Robocop concept is ripe for remake (given how poorly the Frank Miller scripted sequels exploited the concept, although I still have an undeserved soft spot for Robocop 2). What you could do better: I have a section in each of my film reviews called “What about the rating?” I didn’t see this in a cinema, but if I had I’ve would’ve had plenty to say about the rating here, which was 12A for “moderate violence, injury detail and infrequent strong language”. If you’re going to portray a cyborg police officer dealing with the scum of society, giving it a child friendly rating leaves it totally neutered and this is an action movie with almost no action in it; what’s here isn’t really any good. When you think that the original Robocop was originally submitted in a cut form to get an 18 certificate, and that it even had two trailers that got an 18 rating on video (when did you last seen an 18-rated trailer?! ), then it’s clear where the gap is. That awkward moment when Imogen Poots called her agent. What you did well: Another tale of good casting, but this time the rating was a 15, so there were no holds barred on the language and That Awkward Moment could be a scabrous, raunchy comedy with the bonus of Zac Efron to draw in the teenage crowd. What you could do better: Have you ever told your friends a joke that you heard and thought was really funny, but they just pull a face and suggest that it was in really poor taste? This is the 94 minute cinematic equivalent. Calling a woman a prostitute to their face, but then them overlooking that and still falling for you, might be achievable in an innocently cheery way in safer hands than these, but here it’s one example in a whole film that comes over more as uncomfortably sleazy. If that’s a fine line, then That Awkward Moment is staggering about drunkenly on the wrong side of it for an hour and a half. Unless that’s a script for a Django sequel in your hand, turn around and walk away. What you did well: Well, you hired Franco Nero, that has to be a good start. And who couldn’t love the concept of a killer mermaid? 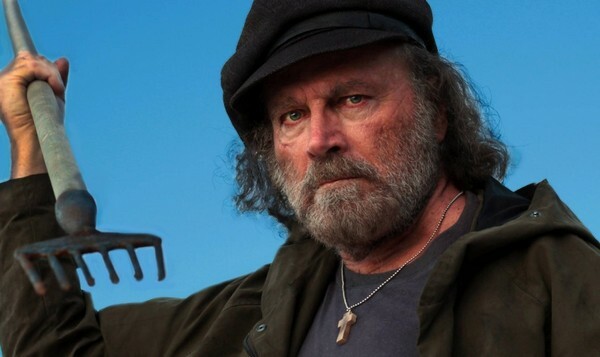 Trashy horror movie staples on the SyFy channel have come off with a lot less to work with. What you could do better: I appreciate that it may be a little difficult for you to judge my least best movie of the year when you probably haven’t seen it and never will, so just have a look at the trailer. Maybe if this had gone for a campier tone or been in any way fun, it could have worked (possibly under the alternative title of Killer Mermaid), and I can’t bring myself to criticise because I cannot help but feel that the film makers’ hearts were in the right place, but there’s so little here of consequence happening that the film becomes a tedious domestic drama where people eventually end up running around a deserted island castle because they have nothing better to do. You can see what they were trying to achieve, but the film is criminally dull and the strains of the low budget are seen creaking at regular intervals, without the rough charm of any entertainment to encourage you to gloss over them. I only hope that, for those involved on the creative side, this is a lesson learned and that they can come back stronger for it. I’m off to watch Mrs. Brown’s Boys D’Movie or Postman Pat The Movie, or possibly as much of Transformers: Age Of Extinction as I can stand, as to call this my least best movie of the year feels terribly harsh. Sorry, everyone. This entry was posted in Evangelism and tagged 2014, film, least best, lists, movies, review, Review Of 2014, That Awkward Moment. Time to start yet another trawl through the cinematic wonders of the year, the fifth time I’ve broken down the cinema year in blog post form, and as has now become traditional I’m starting with my look at the best trailers of 2014. I have to say that 2014 hasn’t struck me as a golden year in the art of the cinematic promo, not least because of an ever increasing avalanche of marquee names and tentpole sequels that have a very precise series of beats to hit. I’ve probably also reached a point where I don’t watch very many of these in cinemas, partly because the tendency to keep the house lights up means most people tend to sit and chat through them, but also down to the fact that the standard diet of ads and trailers at the multiplex is twenty-five to thirty minutes of my life I’ll never get back, so I try to dip in as close to the start of the film as I possibly can. All that said, there have still been a few highlights of the year, so in tribute to my normal Half Dozen trailer run-down I’ve pulled together another double dose of the best of the year’s trailers. What you’re really looking for from a trailer is something that sums up the tone and the spirit of the film without giving the game away. Recent trailers for Wes Anderson’s films have got this down to the finest of fine arts, not least because they tend to use the score from their respective films, and this picks off a selection of crowd-pleasing moments and also captures the true sense of the lighter moments of the film while not giving away too many of the highlights for when you come to watch the film. Just as with the Roland Emmerich’s Godzilla, this trailer was doing its best to keep back the detail of the grumpy green giant until you were sat watching the film. This probably worked more effectively, not least because the reveal of the actual creature leaves you breathing a sigh of relief rather than disappointment. Most of us who remember the travesty of Matthew Broderick charging round after a bunch of humourless Godzookies were relieved that this offered up the possibility of something just a little less emotionally scarring. Marvel couldn’t really lose here, as few people would have had too many expectations of this very minor property before James Gunn was offered the director’s chair. Even the eccentric (if expensive) casting wouldn’t have done too much more to raise hopes, but then this first trailer hit, with the film’s secret weapon revealed: the killer throwback soundtrack, and if you weren’t oonga-chakkaing to yourself after hearing Blue Suede’s Hooked On A Feeling, it’s possible you either hate the Seventies or you have no soul. I had a few issues with What We Do In The Shadows, mainly around the lack of big laughs, but that was possibly also down to the fact that many of the film’s best moments ended up in the trailer. Conversely, this is a two minute breakdown of the film that still hasn’t failed to put a smile on my face every time I’ve watched it. 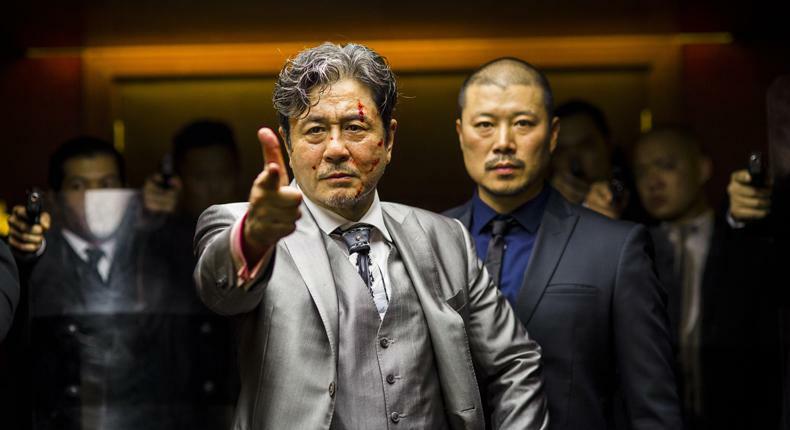 The Raid 2 suffered from being a subtitled action movie so it failed to crack either the art houses or the multiplexes and I ended up performing a 120 mile round trip just to see it. But when this trailer was offering up so much (all of which was delivered on in spades in the film), it was hard to resist. It helps when your two and a half hour action movie has probably close to an hour of action so that you’re not losing too many important beats to the need to drum up an audience. No, wait, come back! I haven’t taken leave of my senses: Mrs. Brown’s Boys D’Movie is almost certainly a terrible film – I haven’t actually seen it – but there’s something about the trailer: you could not possibly watch it, and then sit down and watch the film saying you weren’t warned what you’re getting. Having been forced to endure some of the TV series, all of the staples are present and correct: the sub-music hall humour, the fourth wall breaking, the corpsing mid-joke, the self-referential digs, and in terms of pitching the finished product, you can’t fault it. You learn something every day. In this case, I discovered that the mind-numbing flashbacks I was having to the Battle: Los Angeles trailer caused by the use of the same music in this trailer wasn’t caused by the same music at all, just a common reliance on heavy use of autotune. For the record, the trailer for my least favourite film of the current decade was accompanied by Johann Johannsson’s The Sum’s Gone Dim and the Edge Of Tomorrow trailer is underscored by Fieldwork’s This Is Not The End. Feel free to tell me that I’m getting old and should be able to tell the difference. Citizenfour has a trump card up its sleeve, and both the trailer and the film manage the reveal in an understated but effective way. Yeah, not much more I can say than that. I’ve not managed to catch everything I’d hoped to this year, I never do, but if one film stands out as being one I regret missing, it’s We Are The Best, and hopefully this trailer shows you exactly why. Out of the films I’ve not seen (at time of writing; it’s on Netflix so may yet appear in the top 40), this one seems to have been cropping up on as many end of year lists as anything. I’ll be honest, I’d not paid much attention to Paul Thomas Anderson’s new film, partly because you don’t need to: it’s a name that’s become as reliable a stamp of quality as Scorcese or Spielberg at their peak. Consequently, this trailer – showing how Anderson set about capturing the feel of Thomas Pynchon’s novel – took me by surprise. Some top quality falling over from Joaquim Phoenix there. The first trailer created a real buzz around the internet with its incredible looking action scenes, but it was just a string of action scenes with a cool techno soundtrack and a two-headed lizard. But this second promo was a perfect storm of fast cuts, giant logos, Nicholas Hoult going a bit mad and when the Dies Irae from Verdi’s Requiem drops, it’s the trailer equivalent of snorting pure speed. Seven million YouTube views in a week have surely guaranteed this a big opening weekend next year. There could only really be one winner this year. Preparing to watch The Guest on the opening night of FrightFest, in a room full of hardened horror movie fans, the fact that they were freaking out over a trailer spoke volumes about what was to come, and by the time the film played two nights later there were actual screams. This brings us nicely full circle, as this trailer also does a great job of nailing the concept without giving away too many of the big moments, and I’m not only adding The Babadook to my Trailer Of The Year roll of honour, but I’m still sleeping with the lights on and I’ve stopped reading books. Can’t take any chances. This entry was posted in Evangelism and tagged film, Mad Max: Fury Road, movies, Review Of 2014, The Babadook, The Grand Budapest Hotel, The Half Dozen, trailer. December heralds the start of two things: an avalanche of Best Of lists and awards nominations (expect my usual review of the year to appear at the end of December in all its usual multi-faceted glory), and seemingly the first round of promotional material for the onslaught on our senses that cinema of 2015 is shaping up to be. Enjoy the first few months of the year, and the relative originality of offerings like Inherent Vice and Big Hero 6, for once awards season has passed, originality is taking a ten month holiday and you won’t be able to move in your local multiplex foyer for all of the oversized standees boldly proclaiming the umpteenth instalment in that franchise you’d tried to forget about. From March 20th, when the Divergent sequel converges on us, we’ve got the Fastest, most Furious and possibly most poignant car movie ever made, the maddest Max ever seen in the form of Tom Hardy, another theme park ride-inspired trip to Tomorrowland, the most Insidious horror sequel yet, a Minion-flavoured spin-off, more foul-mouthed bear action with Ted, the end of Marvel’s Phase II with Ant-Man, the origins of Peter Pan, Magic Mike getting XXL, the return of the men from U.N.C.L.E, London going the way of Olympus and falling, the Hungriest Games of all, the most not-actually-impossible Mission and a Peanuts movie. What a nightmare, Charlie Brown! And that’s not even counting a host of other remakes and re-releases. But I’m not a totally jaded cynic of a blogger; not quite yet, anyways. There are a few marquee names that might still get me excited in 2015, and they’ve been putting their various stakes in the ground over the past couple of weeks. 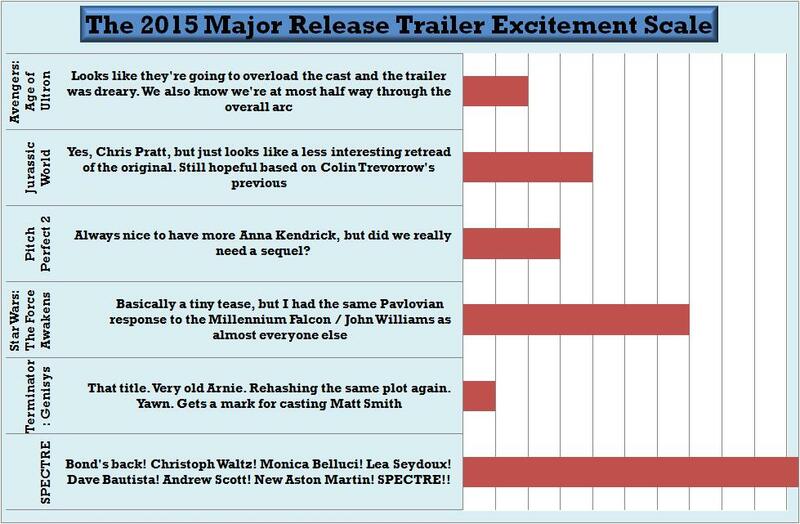 Here’s how excited they’ve managed to make me, expressed as I so often do in the form of a bar graph. If anybody wants me, I’ll be running around the house with my hands clasped together in a gun shape, running around and bah-bah-BAH-AH-ing the Bond theme as loudly as possible. This entry was posted in Evangelism and tagged 2015, Avengers, bar graph, excitement, film, James Bond, movies, Star Wars, trailers. If I was any good at Photoshop I could have probably tidied up that image a little better. So sue me. UPDATE: It appears I wasn’t the only one asking, and with my momentum adding to the bandwagon, Cambridge Arts Picturehouse happily agreed to move this Friday’s screening to their main screen, Screen 1. A victory for people power and common sense, and a huge thanks to the staff of the Picturehouse, not least marketing manager Jack who I understand moved the seats across this evening in a time-consuming process, and to Keith and his team who will have to call everyone to tell them tomorrow. Thank you all, I owe every one of you that pint next time I see you, which might well be this Friday. Rejoice, great peoples of Britain, and especially those that live in the vicinity of Cambridge. 2001 returns to cinema screens this Friday, thanks to a science-fiction season from those nice people at the BFI, and for me it’s a particular thrill. As you know, I write a cinema blog based on encouraging people into cinemas, and while I’ve been a big fan of a lot of other Kubrick works, I’ve always struggled to engage with 2001 on the small screen, so I’ve never got much more than half an hour in. This is an opportunity to assess the film in the perfect environment, seeing it on the biggest screen possible; for me, locally, that means screen 1 at the Cambridge Arts Picturehouse. Except it’s not playing in Screen 1. It’s playing every night, which is great, but most nights it will be in Screen 2 and one night it’s bumped all the way down to Screen 3. How can this be, I hear you cry? Well, on the face of it this is a commercially sensible decision. There are not one but two British films in cinemas right now that are causing audiences to queue round the block, and chances are that either The Imitation Game or Mr Turner would sell out whichever screen they were in, where 2001 could struggle to fill one of the smaller screens. But hang on again. Here’s the seating plan for Friday night’s 20:30 showing, four days before the event. It’s a third full already. And it’s only Monday. 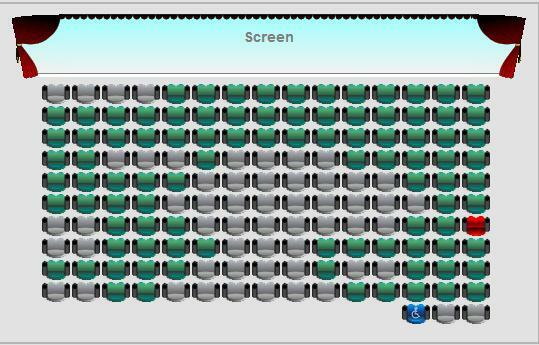 Surely if we all booked for the same night, we could easily fill Screen 1? We’d be happy, and the Arts Picturehouse could cheerfully fill the other screens with British blockbusters. I know a lot of the staff at the Arts Picturehouse, and they’re all lovely people. I’m sure if we can persuade them that we can fill a screen as easily as Benedict Cumberbatch stammering to victory over the Germans or Timothy Spall frothing at the mouth into his latest artwork, then as long as there’s no projection reason why screen 1 can’t take it, they’d consider bumping it up. Book a ticket as soon as you can for Screen 2 on Friday night. In fact, stop reading this RIGHT NOW, go here and book and then come back. If you had any plans to see it this week and can make Friday, make this your priority now. If it sells out, please contact the cinema via phone or social media to confirm you’d like to attend on Friday night. Contact the cinema via social media to ask anyway if they could bump Friday’s showing to Screen 1. Keep it friendly – this is just a bit of fun, but also an important exercise in consumer demand. We fought collectively to keep this cinema, now let’s show that we’re willing to turn up for the right films in the right screens. If we sell out Friday and that moves to Screen 1, then repeat the process for Saturday. What I’ll do is if this causes anyone at the Arts Picturehouse any increase in work, I will buy you a pint at the very least next time I see you. I will even come down and usher people to their seats for free on Friday night. I would do that on the other screens and miss the film if it meant that other people got the chance to see this on the biggest screen in the area. If not, then I might as well wait until December, when I can sit in my favourite cinema seat in the world up the road at the Abbeygate in Bury with screen size comparable to screen 2, but let’s be honest, you know me, I’ll probably do that as well. So what do you say? Are you with me? Let’s bundle on the Arts Picturehouse on Friday night. 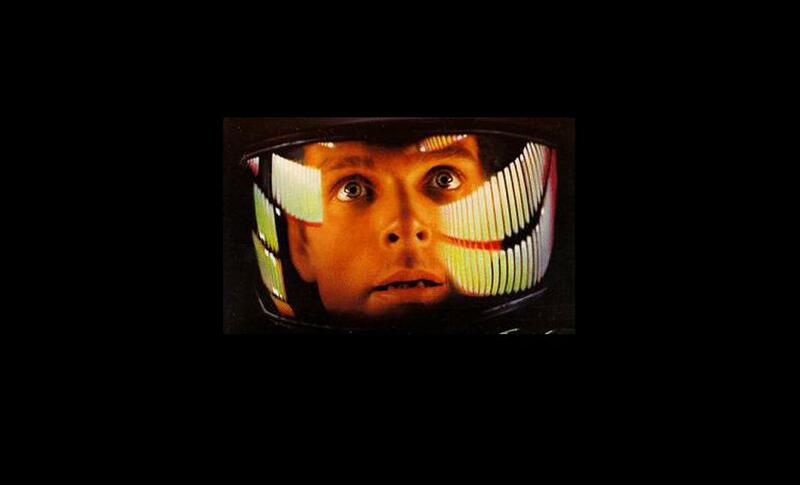 This entry was posted in Evangelism and tagged A Space Odyssey, appeal, Cambridge Arts Picturehouse, film, movies.